Recently, I have reviewed quite a few AUKEY products. I’ve reviewed charging bases, speakers, keyboards, and various other things. However, this is my first time reviewing a LED Light. In fact, it’s my first time reviewing an LED light, period. 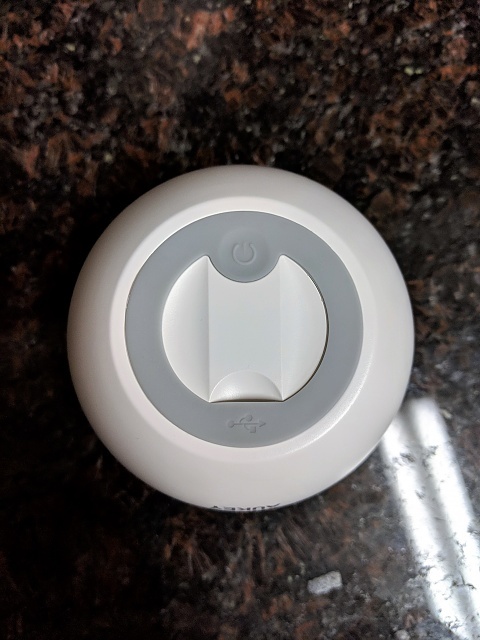 Interestingly, along with all of the other nifty, well-priced items that AUKEY makes, they happen to make a variety of lighting accessories as well, which is pretty neat. Besides, this is the time of year for lights, isn’t it? Why limit your lights and decorations to the Christmas tree, when you can have a fancy color-changing light right next to your bed. Say hello to the AUKEY Mini RGB Light. 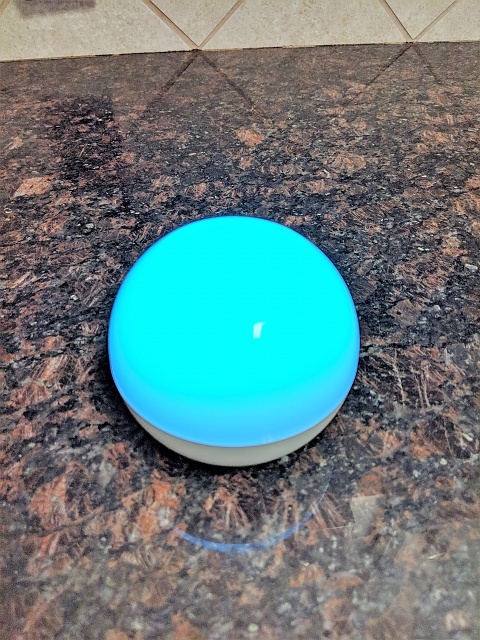 Cool Factor and Versatility: The AUKEY Mini RGB Light is pretty nifty, and it’s something that you can use in a lot of situations. My wife likes to keep it on the night stand next to the bed, as an alternative to a traditional lamp. Not only does it put out quite a bit of light but it also has very low power consumption, and it also has the availability to tailor the brightness to your liking. Another nice way that the RGB light can be used is for camping, or in places where you want to hang it off of your backpack for added visibility. 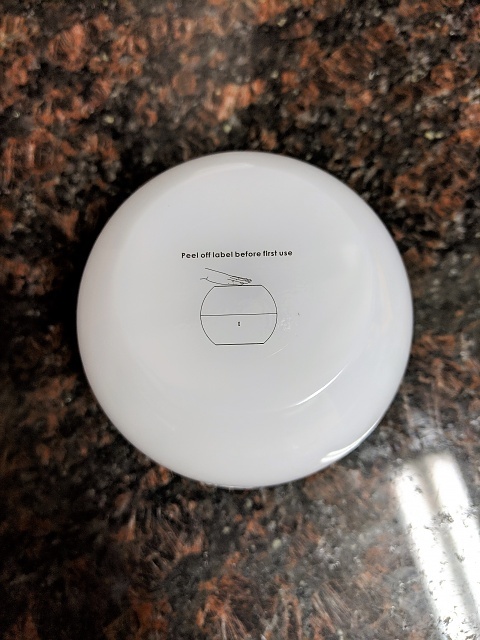 There is a rubber-material loop on the bottom of the light that can be attached using the included carabiner clip, or hung on some sort of apparatus – or used with the magnetic base which can be attached to things. The Lights! 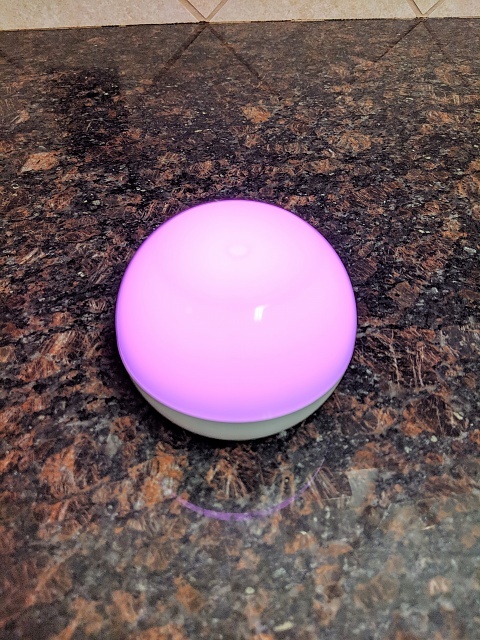 : The Mini RGB Light has four different operating modes: Bright White, Yellow Light, Color Changing (manual), and Color Changing (automatic), In each mode, you can dim or brighten the light by touching and holding your finger on the pressure-sensitive touch point on the top of the light. As you hold your finger there, it will slowly dim, or brighten, and then you just lift your finger when you have reached the desired brightness. In Color Changing mode (manual), pressing and holding your finger will change the colors and allow you to adjust the brightness as well. In Coloring Changing mode (automatic), pressing and holding will allow you to change the brightness, but not the color – this changes on it’s own, as it slowly cycles through all of the colors. 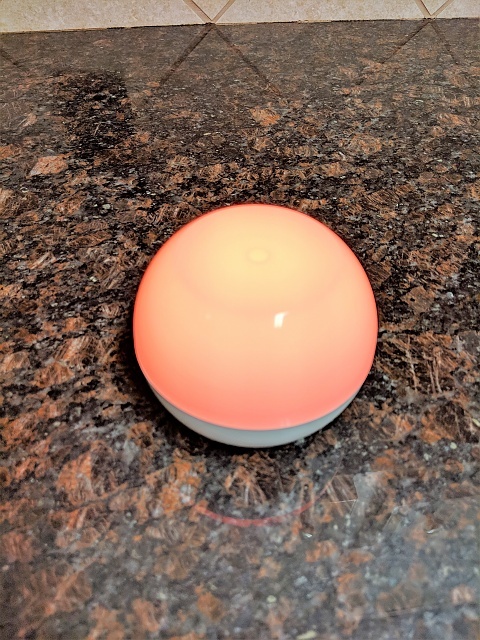 Conclusion: The AUKEY Mini RGB Light is a great accessory that you can use in a wide-variety of situations, and is a nice addition to any home or outdoor experience. It’s great for camping, reading, mood lighting, or anything in-between. 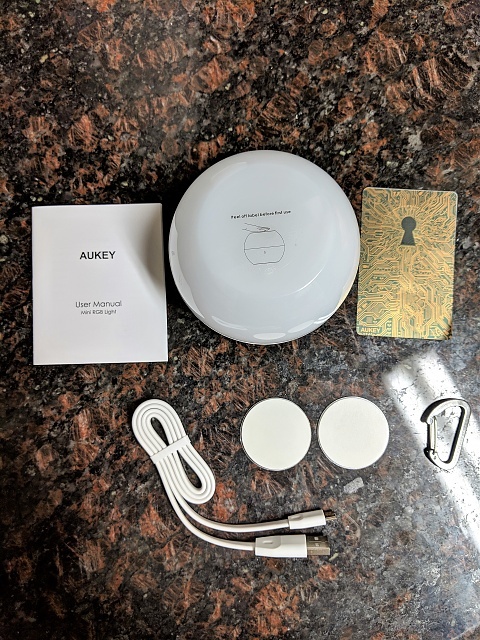 Additionally, the 24 Month AUKEY warranty is one of the best in the business, and the price is unbeatable - $17.99 – It’s a solid product at a great value. 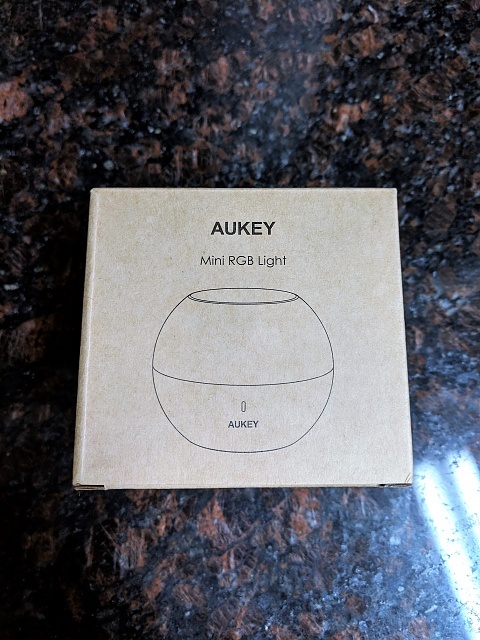 If you’re interested in picking up one of AUKEY’s Mini RGB Lights, you can find them directly on Amazon’s website for $17.99 - https://www.amazon.com/AUKEY-Recharg...cUvbUpU6416272 - Additonally, the RGB light comes in two different color options: Black, and White (this is the base of the light). As always, if you have any questions or comments, please leave them in the comments section. Blue lights in upper right corner between speaker and front camera need blinking what are they for?